Do you need service for your garage door remote clicker in Missouri City, Texas? We offer reliable sales & service options. Our friendly techs stock their vehicles with a large selection of remotes and spare parts. We carry the most popular brands. Our experts are experienced and skilled. We can repair, program or replace your existing garage door remote control. You won’t find a company more committed to customer care. Choose us for your garage door requirements. It is an honor to provide our community with effective garage door remote sales & service. We service every part of the garage door system. No job is too big or too small. You depend on your remote to work right every time you push the button. These units always seem to stop working when you least expect it. We suggest that you always check your batteries before you give us a call. This is a common problem. If this is not the problem, we will rush right out to fix or replace the garage door clicker. Yes, the garage door remote control can be repaired. Sometimes there is a simple loose connection. Our trained techs can fix these problems fast. In some cases, the unit needs to be programmed again. We can do that too. The issue might not even be with the remote. It could be the sensor it signals. In either case, we can fix the problem. At Garage Door Repair Missouri City, we are here to help. You may not want to repair that old remote. 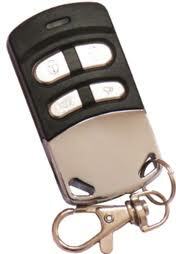 In that situation, we offer garage door remote replacement. We carry excellent brands like Genie, Chamberlain, Craftsman, and Marantec. You can also get a Liftmaster or Sears. Choose our company for quality Missouri City garage door remote clicker sales & service.